The 16th edition of the Mutua Madrid Open, held at Caja Mágica from 5 to 14 May 2017, brings together the best tennis players in the world to celebrate one of the most important tennis tournaments, framed in the Masters 1000 circuit of the Male ATP and Premiere Mandatory of the female WTA. Only one step behind the importance of the Grand Slam. In addition, it is one of the few open in the world in which doubles, women and man are disputed simultaneously. The mayor, José Bernal, said that "the presence of the City Council in this event with one of the most important stands of Caja Mágica is an opportunity for promotion in the tourism and sports field." "The great promotional asset that Marbella has to attend to the Mutua Madrid Open, which has a budget of more than 20 million, and being the third Master 1000 tournament in the world, behind only Indian Wells and Miami, has an Impressive media coverage "stressed the mayor. He also emphasised that "the fact of being accompanied by a figure of the importance of Manolo Santana, someone very attached to the city and identified worldwide with tennis, and to receive in our stand the visits of players such as Djokovic or Feliciano López Allows to relaunch the image of Marbella in all areas ". 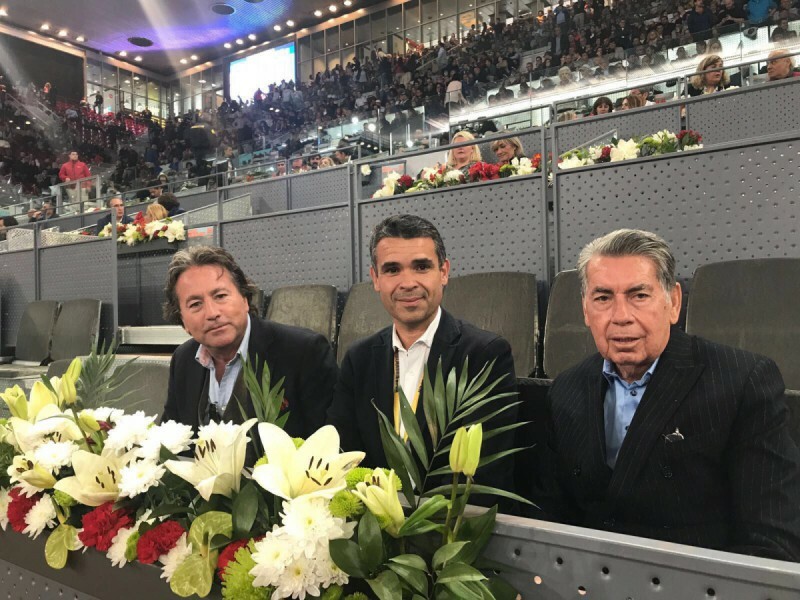 The mayor said that "Marbella is present at the Mutua Madrid Open thanks to the opportunity offered by the Trocadero Group and Manolo Santana to share their space" and recalled, "the great success of the public" that recorded the event last Edition, with more than 24,000 daily visitors.